I've sung and made music as long as I can recall. As a kid I sang in school choirs and played the cello and piano in Espoo Music School. Sometime during the primary school I got carried away by opera, and my firm intention was from then on to become an opera singer. However, things went a bit differently: after high school I ended up studying musical education in the Sibelius Academy, where the studies also included pop singing lessons under guidance of Ms Aija Puurtinen. These lessons opened my eyes (and ears). I learned to understand what a versatile instrument human voice really is, and that classical vocal training isn't necessarily the one and only way. My own singing is, in my opinion, a combination of several styles of singing. I've sung with Rajaton since its founding. Both the way of singing and the repertoire of this group attract me to the extent that I also intend to continue as long as possible. 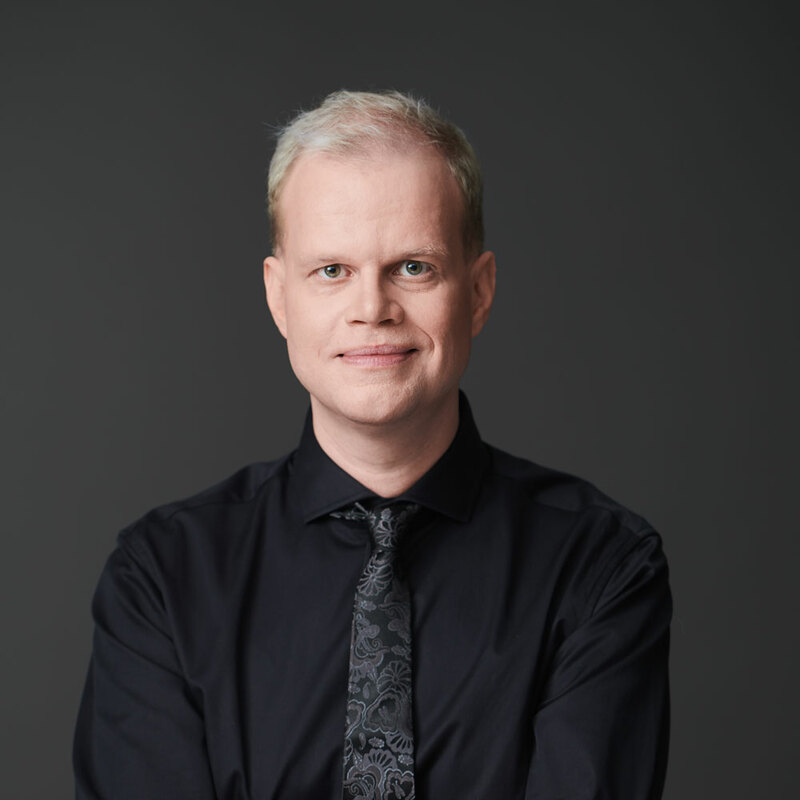 Besides Rajaton I've of course had many other activities as well, for example working as an announcer in the Classic FM radio station and as a prompter in the Finnish National Opera. My first solo album, "Lähtevien laivojen satama", was released in the autumn of 2002.